For the first time in my life, I did not leave one of my shoes by the front door before I went to bed on December 5. I was out of town for work and as soon as I added our week-long work event to my calendar, I saw the conflict with the annual entry I have at 8 p.m. on December 5 to “Leave Shoes Out For St Nick” and my heart sank a little. No no no. I am not a crazy person. Who is this St Nick and what kinda thing does he do with the shoes? According to www.timeanddate.com, St Nicholas’ Day is an observance of European origin that is celebrated in some American communities on December 6. 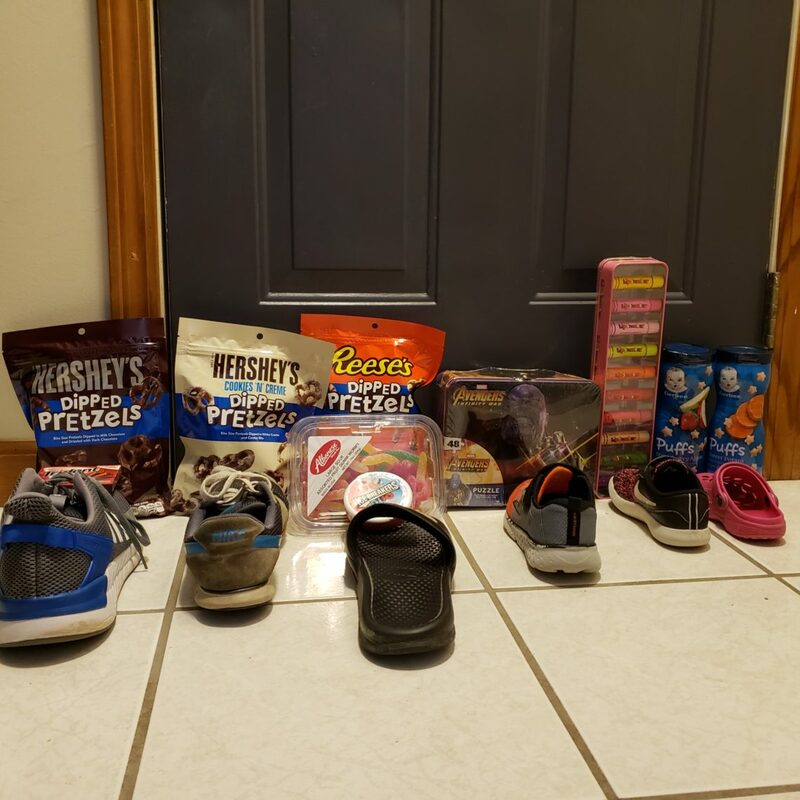 St Nick’s is one of my favorite traditions and it’s right up my alley because it’s a fun pre-holiday way to get kids excited and their behavior in line. We don’t do stockings in our house, so if you do stockings, this might be overkill. The legendary figure of St. Nicholas is derived from Nicholas of Myra who officiated as a bishop in 4th century Greece. During his lifetime he developed a reputation for gift-giving by putting coins into other people’s shoes, which accounts for many of today’s Christmas traditions that involve leaving gifts in shoes or boots. Some Europeans who immigrated to the United States brought with them beliefs, customs and practices associated with St Nicholas’ Day. It has been recorded that celebrations associated with the observance took place in cities such as New York in the early 1800s. Katie, how come you know about this and I don’t? I dunno. It’s been something my mom did every year I lived in her house and something we did as small kids in grade school. Of course, I started doing this with Oscar’s lil baby shoes back in 2001 and haven’t missed a year. Well you don’t have to. St Nick’s day is celebrated December 6 or December 19 on the Julian Calendar. So this year, do it on the 19th (and look up what a Julian Calendar is so you feel smarter) and then set a calendar reminder for December 5 for next year and every year after that. (Of course you also need a calendar reminder for late November to get the goodies so you have something to fill the shoes with). << Previous Post Are you scared?